LOCATION, LOCATION, LOCATION! 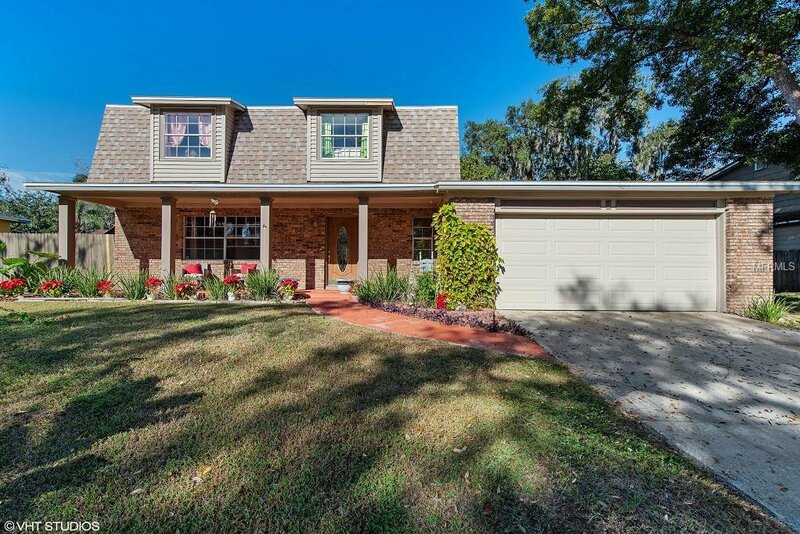 Come see this gorgeous 4 Bedroom 2/1 Bath POOL home with a 2 car garage located in the Orlando/Maitland area! Make this home your family staycation with an incredible RESORT STYLE POOL! Come and relax on your cute front porch with your morning coffee. This home has a wonderful spacious floor plan including a huge kitchen with island and breakfast area. Family room with French doors overlooking the patio leading out to a RESORT STYLE POOL! Fall in love with the oversized 24,000 gallon pool cascading from 3ft to 9ft surrounded by a full deck, great for summer days and family fun right at your fingertips. Entertain in style with your separate dining room and living room. Upstairs, this home features oversized bedrooms with view to the lake! Homeowners have access to the neighborhood lake. This home also offers a fenced in big backyard and a shed for extra storage. Close to the RDV Sportsplex with easy access to shopping, I-4 and 429/414! NO HOA! This property may be under audio and video surveillance. Listing courtesy of COLDWELL BANKER RESIDENTIAL RE. Selling Office: REDFIN CORPORATION.